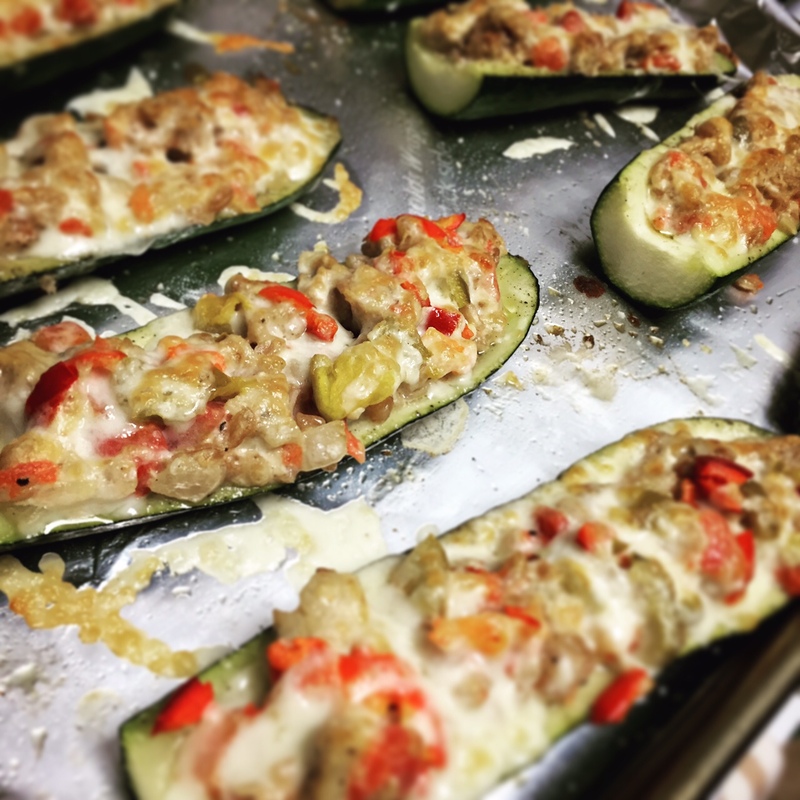 A few weeks ago, my husband and I had a conversation wherein I stated that I could eat pizza every day… and he told me that that was GROSS. After checking to see if he had fallen gravely ill (what ELSE would explain such a blasphemous statement?? ), I considered divorcing him on the spot. Then, I came to my senses and realized that I’d rather spend all that lawyer money on PIZZA, GLORIOUS PIZZA, so he gets to stay. For now. I love pizza of all shapes and kinds. Thin crust, deep dish, Detroit-style (yeah, it’s a thing), round, square. I am a little discerning as it relates to toppings (if you put green peppers on my pizza, you can go straight to hell! ), but in general, I am an equal opportunity pizza lover. GIVE ME ALL THE PIZZA! And every now and again, it’s fun to whip up a pizza at home and really go nuts with the flavor combinations. I recommend you try the combination outlined below at your earliest convenience. Like, tomorrow. 1.) 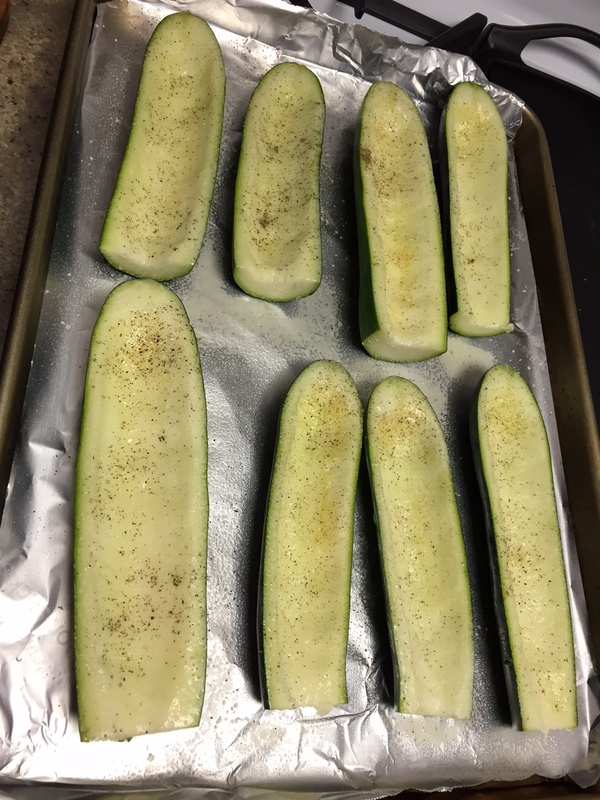 Preheat your oven to 475°F. Once your dough is ready to go, stretch it out nice and thin, and place it on a baking sheet coated with a bit of olive oil. Brush the top with some more oil, and then verrrrry thinly slice your garlic cloves, and scatter them over the pizza. 2.) Chop your raw shrimp into bite size pieces, season with salt and pepper, and scatter over the pizza, along with the chorizo. 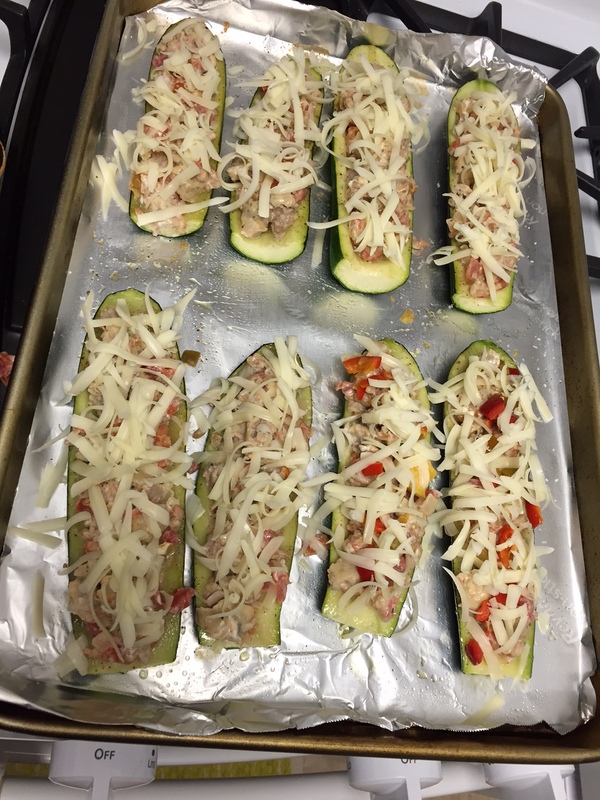 Next, add the jalapeños, then the cheese. 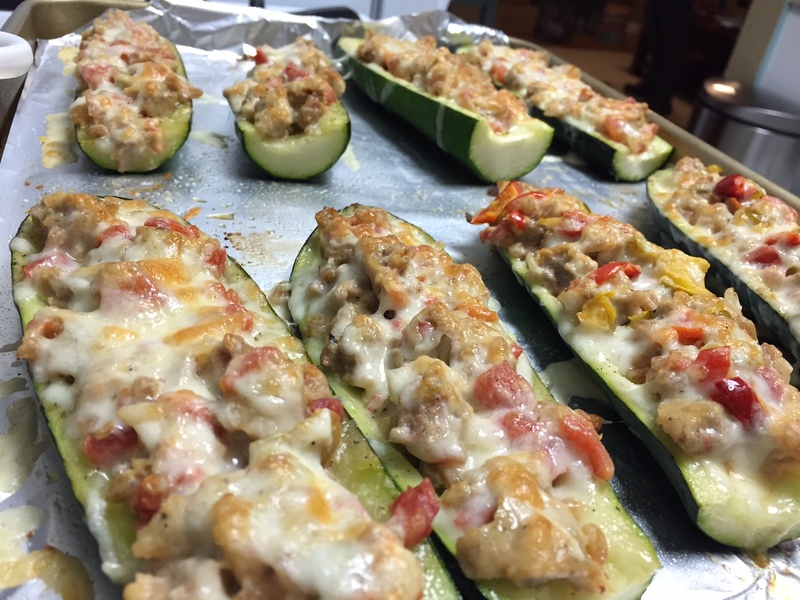 Bake for about 15 minutes, until the crust is golden brown and the cheese is melted and bubbly. 3.) Let the pizza cool for a few minutes, and then scatter the pickled onions and cilantro over the top. Serve immediately. I am pretty sure that the only thing better than pizza, is pizza topped with CHORIZO. That is some ridiculous goodness, right there! The richness of the chorizo is cut perfectly by the pickled red onion, and the shrimp and cilantro kind of lighten everything up. 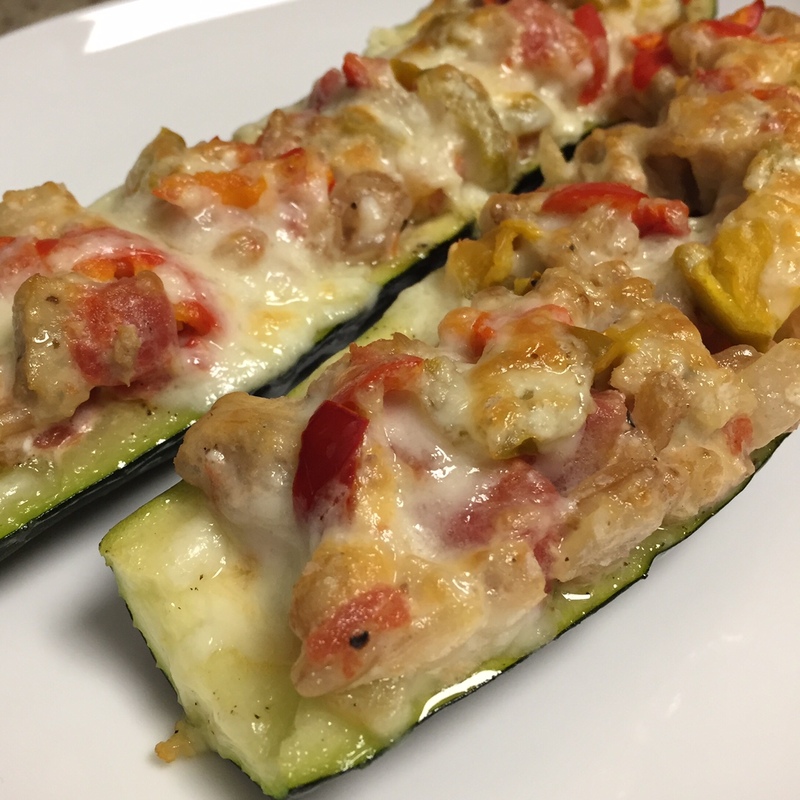 This would be pretty awesome cut into thin slices and served as an appetizer… but equally awesome consumed in its entirety while you’re parked on the couch in your finest sweatpants. There is no judgment here. If you’ve never experienced the wonder that is a Whatchamacallit candy bar, I am sorry to tell you that you are SERIOUSLY missing out. Sure, the Whatchamacallit doesn’t get the glory of a Snickers, or a Milky Way, or a Reese’s Peanut Butter Cup… but there is a boatload of deliciousness to be had in this unassuming candy bar. (You guys, you can’t even find a bag of mini Whatchamacallits at Halloween… awfully RUDE, candy overlords!) It’s crunchy, it’s caramel-y, it’s subtly peanut butter-y – all without being overly sweet or overwhelmed by chocolate. 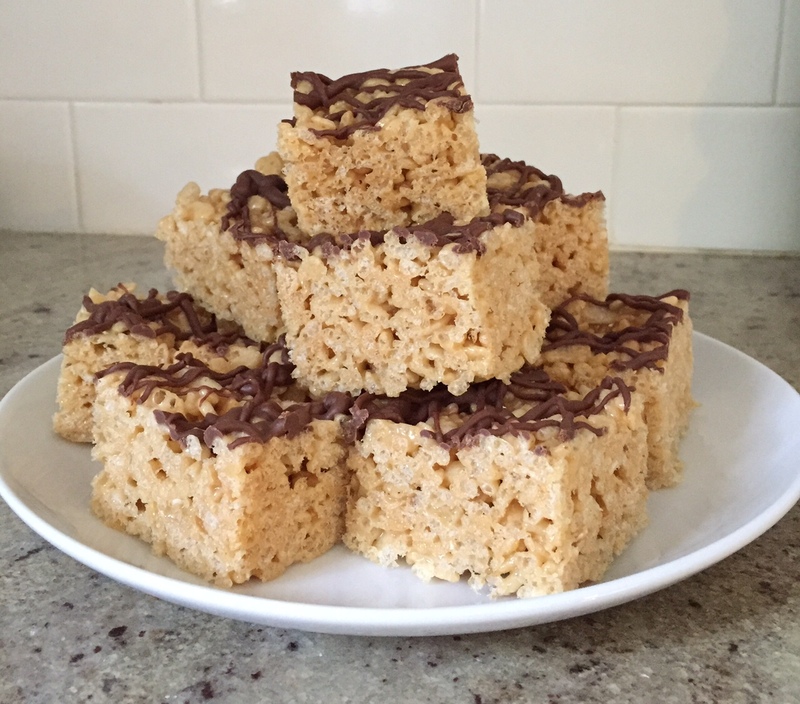 As an ardent lover of rice krispie treats (I can easily take down an entire pan on my own), I occasionally sit around and daydream about how I could make a standard rice krispie treat more delicious. Clearly, my life is more exciting than you can possibly comprehend. 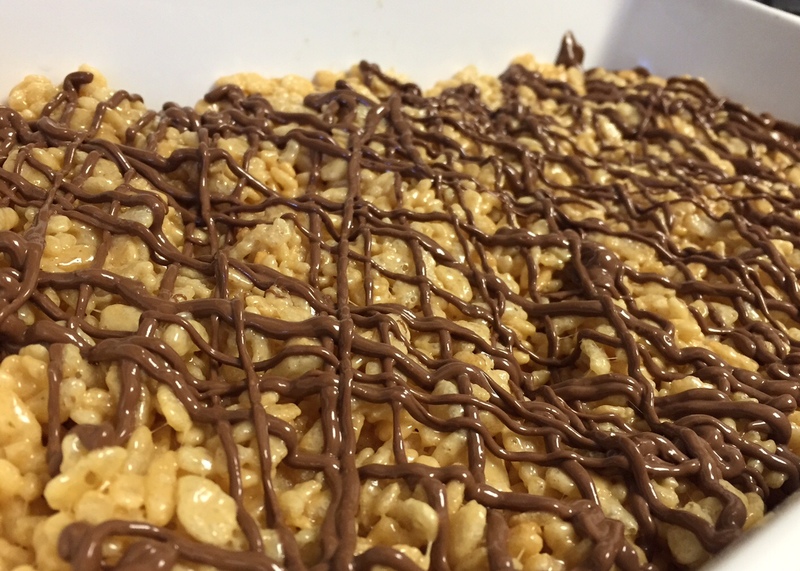 Anyways, one day I was hit with a stroke of genius – that I could make a rice krispie treat that would taste like a Whatchamacallit! 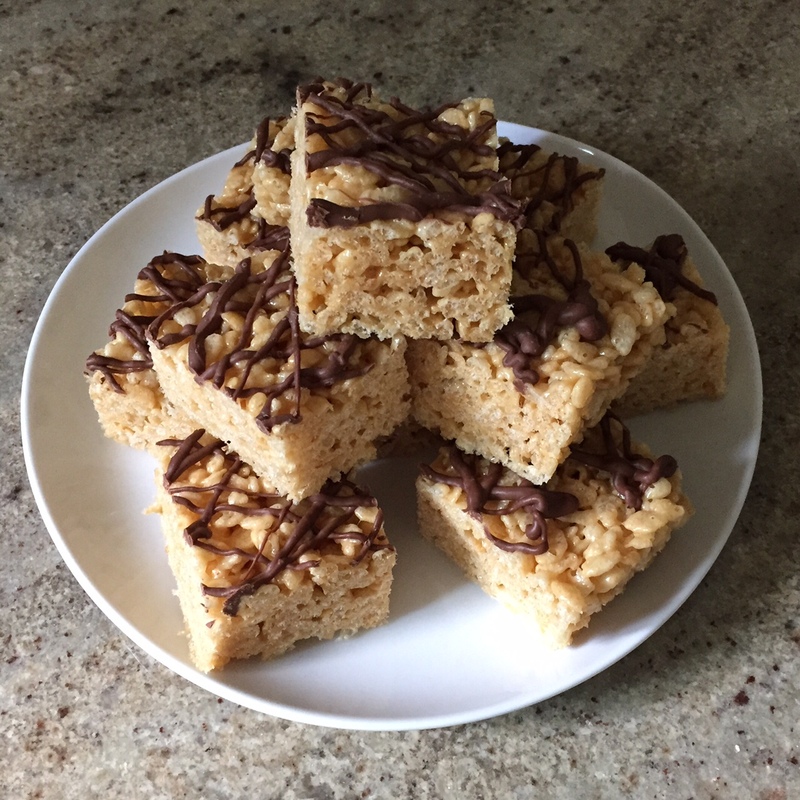 It took me several months to actually decide to do it (let’s be honest, I don’t particularly need a gigantic pan of rice krispie treats staring me down all week)… but over the weekend, the urge struck, and I just decided to go with it. I had all the ingredients, I was in the mood for a kind of salty/sweet dessert… and now I’m doing that thing where I keep walking by the plate of treats, cutting off a sliver here or there, just eating a little bit at a time. I fully expect all of them to be gone by this evening. 1.) Start by melting your butter in a large pot, over medium low heat. Once the butter is melted, add your peanut butter and caramel sauce and stir, so the warm butter starts to melt the peanut butter. 2.) Add in your marshmallows, and stir continuously so the sugars don’t burn, until everything is melted and smooth. 3.) Remove the pan from the heat, pour in your rice krispies, and use a rubber spatula to gently fold them into the marshmallow mixture. 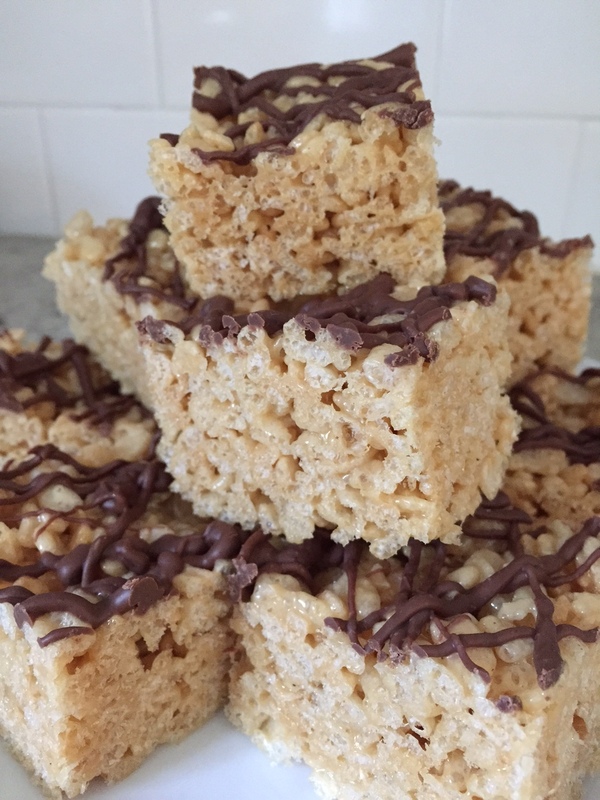 I like to start with maybe 6 cups of rice krispies, and add more as needed – you want to be sure they’re not too dry! 4.) 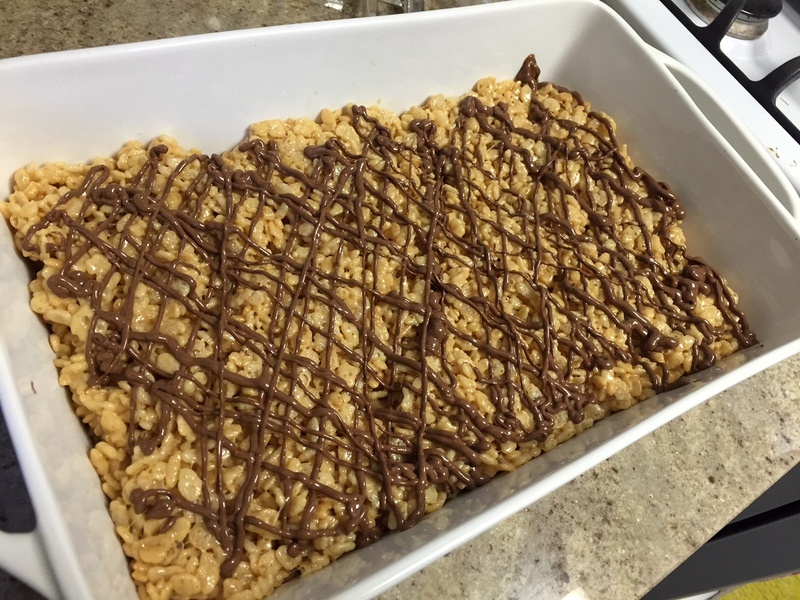 Spray a 9×13 pan with baking spray, and press the rice krispie mixture into the pan (lightly wet your hands to keep everything from sticking). 5.) Add the chocolate and coconut oil into a small bowl, and microwave in 20 second increments until it melts and can be stirred until smooth. 6.) Scoop the chocolate into a small sandwich bag, and snip off a tiny bit of one corner. Drizzle the chocolate over the treats in whatever pattern you like! Let the treats cool and the chocolate harden (you can stick them in the fridge for 20 minutes or so, if you’re impatient like me), and then cut into squares. Enjoy! YESSSSSSSSSS. These Whatchamacallit treats were EXACTLY what I had in mind. A little salty, a little sweet… nutty, buttery, and juuuust enough chocolate. And, because they consist primarily of puffed rice, they don’t taste heavy or too rich (all the better to eat 18 of them in one sitting). Keep in mind, you can mess with the proportion of caramel to peanut butter, too – I wanted the peanut butter to be present, but not overwhelming (as it is in a Whatchamacallit), but if you’re a peanut butter fanatic, feel free to use more PB. I am not sure why I’m admitting this, but I added my peanut butter and caramel sauce to the pan, and kept tweaking until the mixture smelled like a Whatchamacallit. Evidently, I am intimately familiar with the exact scent produced by the Whatchamacallit-specific ratio of peanut butter and caramel. Please feel free to be embarrassed on my behalf.